Wesleyan’s golf team got back into action this weekend in an exciting weekend for the sport around the country. As Tiger Woods roared back to win his 15th major at Augusta National Golf Club in Georgia, the men’s team showed its own roar at Cranston Country Club in Rhode Island for the Wildcats Spring Invitational, where they finished 16th out of the 20 schools in attendance and achieved some promising results to build on throughout the rest of the season. The team got to cut its chops against some of the top teams in the Northeast as it faced off against Little Three rivals Amherst, winners of the the tournament, and fellow ’CAC member, Tufts. Captain Elliot Witdorchic ’20, was happy with the results, especially for the first tournament of the season. The team can certainly be excited for the future as two of its first-years posted the highest scores on the team. Noah Cate ’22 posted a 151, which was good enough for a top-10 finish at T-7. Eli Epstein-Lubow ’22 also posted a good weekend, finishing tied for 76th with a 168. The team as a whole was very solid over the course of the tournament. Witdorchic finished with a 171 and T-82. Bryan Chong ’21 finished just below that with a 173 and T-86. Witdorchic noted the amount of work the team’s put in over the past few weeks of the season. “The team has been practicing a lot the past few weeks to get tournament ready, and being able to play 18 holes and post good scores felt like a great payoff,” he said. They did not even have to worry about missing the Masters. The team is excited for the season going forward and has several tournaments coming up. Next weekend, the team will be playing a match at Williams at Taconic Golf Club which is always a fun challenge for the players. Following Taconic, the squad has Little Three’s coming up, where Witdorchic believes the Cardinals can contend. 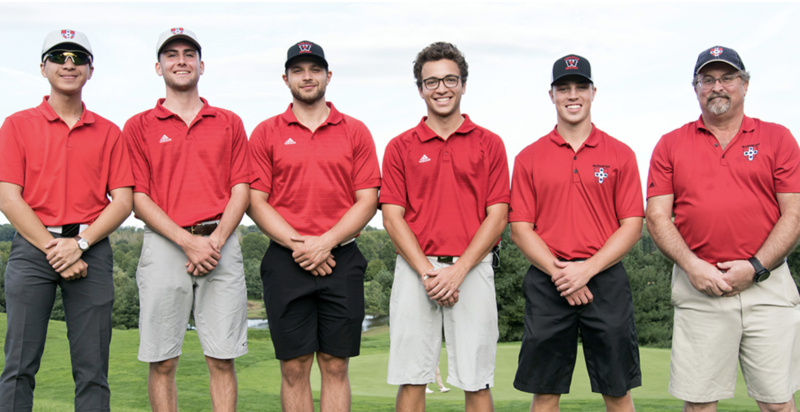 Currently, Wesleyan’s golf team is still a co-ed team, but it was the men’s portion of the team that was playing in Rhode Island. 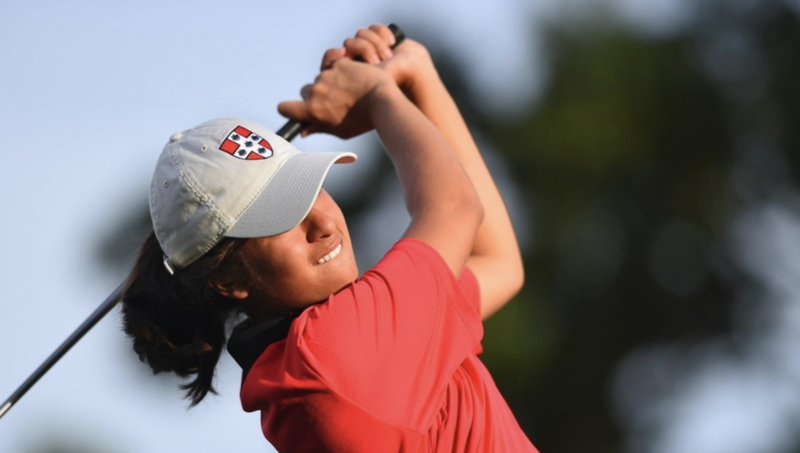 The women’s part, which will officially become its own varsity sport in the fall of 2019, had a chance for a competitive scrimmage against Trinity this weekend at the Jones Course at Lyman Orchards. There are currently three women on the team, captain Saadia Naeem ’20, Emma Mehta ’20, and Meg Wiley ’22. Naeem was excited to get back on the course. Wiley has shown a lot of growth over the season, and that was evident in her two near hole-in-one’s on par-3’s on the course. The team is looking to continue this improvement with focused practices going forward before tournaments later in the season. Naeem was happy with the team’s performance this weekend but reflected on things the team can improve upon. Off of the course, the group is feeling the nerves and expectations that come as they head the first season ever of Wesleyan’s women’s golf team. Overall the golf team at Wesleyan is primed for an exciting and competitive season after their first weekend of play, focused on growth and improvement, but excited for a newfound level of competitiveness as well.